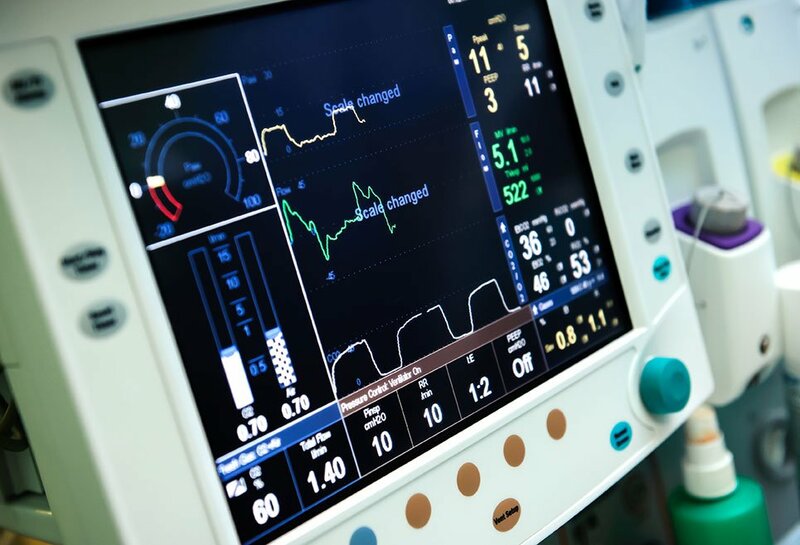 Medical device and life science customers have the dual challenge of maintaining superior product quality in a highly regulated environment while keeping costs competitive in markets with significant price pressure. SigmaTron International supports those requirements with robust shop fl­oor control and quality management systems are designed to support traceability requirements, device history recordkeeping, enforced routing and customized quality data reporting. Our network of facilities offers both U.S. and lower cost labor market options. Our global sourcing team is focused on identifying cost competitive material options that also meet our customers’ stringent quality requirements. We can support your product’s full lifecycle with highly automated production and test options. A manufacturer of medical instrumentation needed a contract manufacturer who could provide strong new product introduction support as well as volume manufacturing longer term. They needed a manufacturing partner able to provide rapid response with engineering recommendations and prototypes. SigmaTron International’s team worked with the customer’s team in product development, performing design for manufacturability/testability (DFM/DFT) analysis and product lifecycle management (PLM) analysis during the first iteration of the Gerber fi­les. They also supplied detailed DFM/DFT recommendations, plus identi­fied components with high obsolescence risk or potential availability issues. Prototypes were built less than two weeks after final Gerber file approval to support the customer’s validation testing. DFM/DFT and PLM feedback early in the process eliminated one design spin. Pre-planning the material enabled the team to build prototypes in the customer’s preferred time window. Having a reliable supplier able to respond on short notice as milestones in the design and regulatory approval process were completed, helped reduce the overall product development process timeframe. A manufacturer of medical equipment used in doctors’ offices was experiencing fi­eld failures of battery compartment fuse clips. The problem was intermittent. SigmaTron International was building the product and tracking the lot code and date codes of all parts on each printed circuit board assembly (PCBA). The AVL for the product included four manufacturers of fuse clips. SigmaTron’s team analyzed the failures and determined that they were all from one manufacturer. Through SigmaTron’s proprietary iScore system, they were able to identify product containing those parts that was currently in SigmaTron’s inventory and at the customer. They were also able to help the customer identify products by serial number in the fi­eld that contained the faulty part. The customer had a clear roadmap of which product needed to be recalled and repaired, and units currently in production were repaired prior to shipment. SigmaTron reviewed the parts from all four suppliers and recommended the AVL be reduced to only two suppliers for that part to prevent similar issues from occurring in the future. The customer reviewed and approved the recommendations.